Special aBlogtoWatch content for Citizen Watch Co. Japan. In 2018, Citizen is proud to celebrate 100 years of dedication to the production and advancement of watchmaking technology and high-quality timepieces. Since its foundation in 1918 the company has excelled in consistently setting some of the highest benchmarks in accuracy while introducing several horological milestones still valued by the watch world today. Among these, of course, is Citizen’s Eco-Drive technology, which was marked by the world’s first analog quartz watch powered exclusively by light. Today, the natural progression of Citizen’s commitment to accuracy is revealed in the latest iteration of Eco-Drive technology known simply as the Citizen Cal.0100 Eco-Drive Movement. With an annual accuracy of ±1 second, the Citizen Cal.0100 serves as the culmination of the brand’s 100-year journey of producing truly amazing watches and cutting-edge technology. 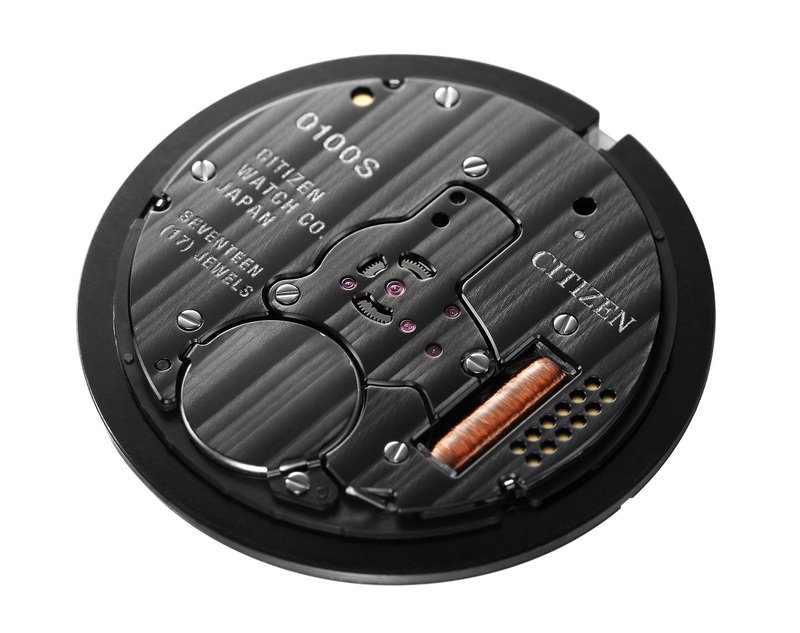 This move from Citizen isn’t merely a display of innovation for the sake of innovation, but a clear sign of what will soon be made available to consumers seeking highly-accurate and carefree performance in their wristwatches. As we will learn here, this latest form of Eco-Drive delivers a remarkable combination of features focused on providing what is essentially Satellite-connected accuracy in a completely isolated and free-standing light-powered quartz movement, a first in the world of horology. Thus, Citizen has removed the need for external timekeeping connections, allowing watches equipped with the Cal.0100 Eco-Drive Movement to deliver a pure and self-sustained expression of time with ±1 second annual accuracy. This is more than just a concept, and Citizen is proud to announce that the Cal.0100 will be available and accessible in a range of new timepieces set to be released very soon. 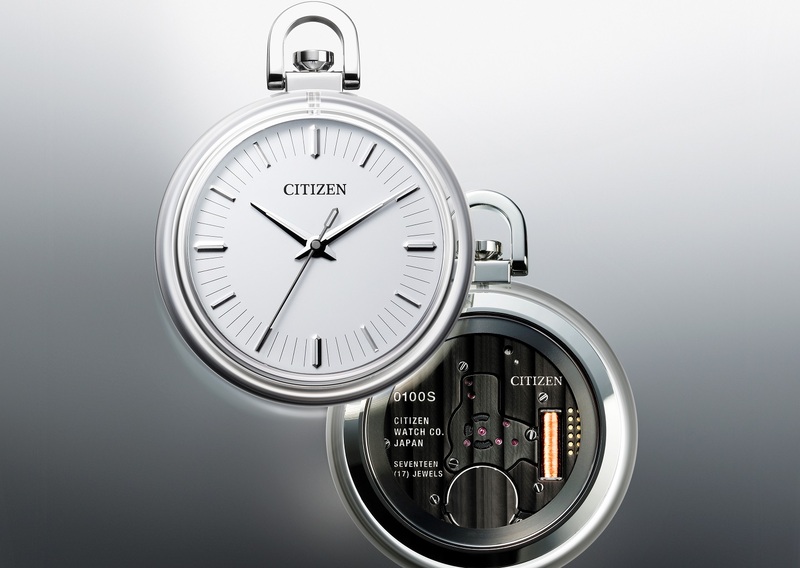 The Citizen Cal.0100 Eco-Drive operates as a completely autonomous movement that is able to achieve its annual ±1 second accuracy without the need for external connections to digital references. 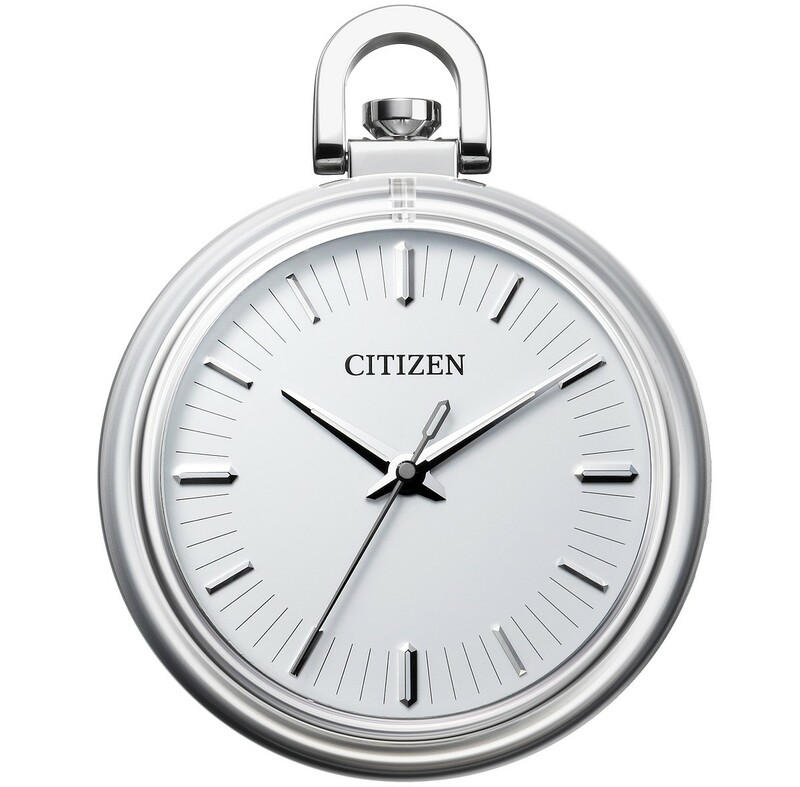 While many will remember Eco-Drive as one of Citizen’s more recent innovations, Citizen has been working towards completely isolated and accurate quartz movements since as early as 1975 with the introduction of the Citizen Crystron Mega, which was capable of reaching accuracy levels of ±3 seconds annually thanks to an operating frequency of 4.19MHz. With a strict philosophy of improving upon past innovations, Citizen designed the Cal.0100 to operate at a frequency of 8.4MHz (8,388,608Hz), which, when combined with a newly-engineered AT-cut quartz crystal oscillator, achieves unprecedented accuracy in their lineage of Eco-Drive movements. While AT-cut quartz crystals have indeed been in production and use since as early as 1934, the technology is more common in larger applications and not necessarily wristwatches. To address the needs of individuals seeking only the most accurate performance in a wristwatch, Citizen sought to apply and optimize this available technology in a way that could serve watch consumers on a more direct and personal level. When working to reach the accuracy of the Cal.0100, Citizen opted for an AT-cut quartz oscillator instead of a more traditional tuning fork shape (XY cut). Perhaps most notably, AT-cut variations allow for greater temperature tolerances, specifically in the range of -40°C to +125°C. Additionally, this configuration allows for reduced deviations caused by wearer orientation, which can cause significant changes in accuracy that aren’t negligible when attempting this kind of performance. As a result, wearers will not have to worry about errors caused by spatial orientation and positioning becomes less of a concern. The same can be said about durability, which Citizen also improved upon in conjunction with the AT-cut oscillator. After all, shock experienced in day-to-day situations could easily prove detrimental even for quartz movements. And when the goal is an annual accuracy of ±1 second, that just isn’t acceptable. Aside from temperature and gravitational variables, Citizen also accounted for the way shock could affect the accuracy of the Cal.0100. This is addressed by Citizen’s proprietary Shock Counteraction Function, which locks the rotor before restarting the movement after significant shock and on-board automatic hand correction that constantly checks positioning. After detecting shock or any kind of deviation, this function corrects hand positioning so that it remains in line with the movement’s precise display of time. These functions combined with the higher operating frequency, AT-cut crystal oscillator, and temperature correction features inevitably require a greater degree of power consumption. Understandable, since this is a movement that operates at a frequency 256 times higher than a standard quartz movement. 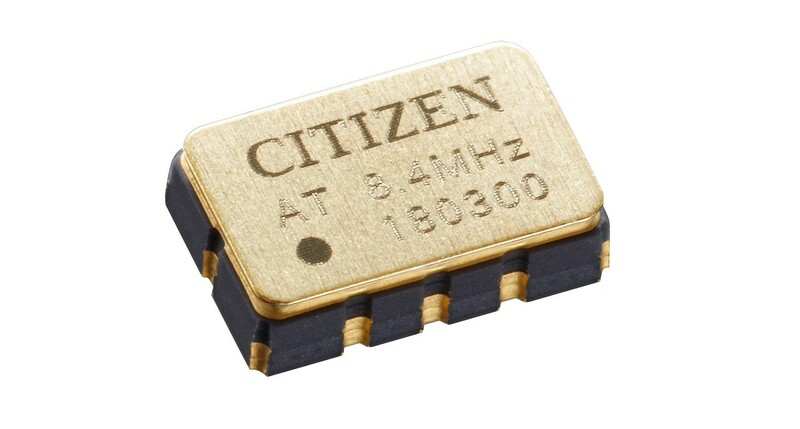 Thus, Citizen was able to tweak, improve, and combine a range of their own proprietary technologies to achieve the accuracy and autonomy of the Cal.0100. No GPS connection, no radio signals, just the purest to-the-second expression of time in the most accurate form of Eco-Drive to date. There is a vision behind the Cal.0100 and it focuses on the idea that each and every watch will be equipped with a superior movement, which will change the way we interact with time for a better and more accurate tomorrow. It starts from the very moment a Cal.0100-equipped timepiece leaves the factory and continues on throughout the watch’s lifetime, as it dutifully performs and delivers accurate timekeeping for its wearer without any external guidance. Sponsored Content produced by aBlogtoWatch for an advertising partner is a form of article content meant to share information about a particular company through the aBlogtoWatch lens. It is not natural editorial content where aBlogtoWatch includes opinions, suggestions, or reviews. Sponsored Content is written by aBlogtoWatch for an advertiser without an editorial or opinionated angle and is meant to convey facts and media in a way that helps advertising partners share insights and views into their brands and products.